Spawning the same female twice in one year is a bit of luck. Using different males with each spawning would give me the chance to see two year's worth of breeding experience with this female in just one year. But - I'd need enough koi at first selection to get a sense of the selection ratios. We found that out today when we harvested the pond. But it's only when the net is fully brought in that you get the full picture. 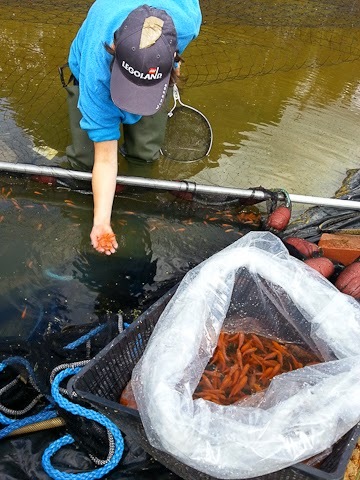 Observing the pond over the last few weeks, we thought there could be anything from a few hundred up to around 5k fry. At this point in proceedings, we realised we're in the thousands rather than the hundreds. We may have as many as 5k; I'd guess at somewhere between 3k and 6k fry. And that's enough for me to be able to compare the selection ratios to the early summer kohaku spawning. It's great news. 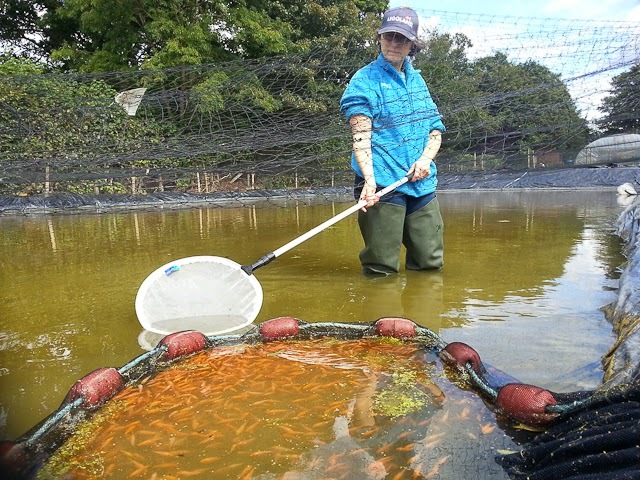 We moved the fry with a pan net into a fish bag and them carried them to their new tank in the polytunnel. Reflecting on the day, I'm a happy man. 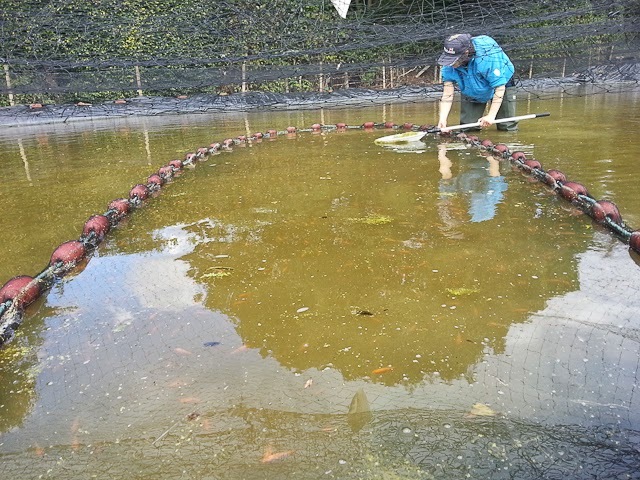 Enough fry to get my two year's of experience in one year with the female kohaku, and also with several thousand fry to go through - and who knows what I'll find. 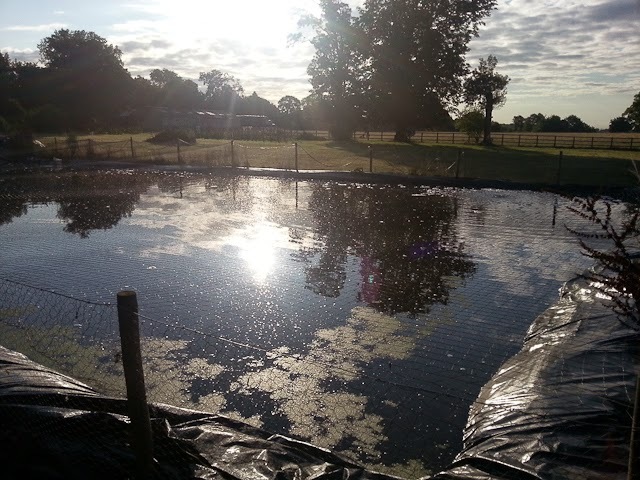 I ran out of time today to finish draining the pond to catch up the last few, so that will fall to tomorrow.